Integrated Gutters - Keeps you dry. 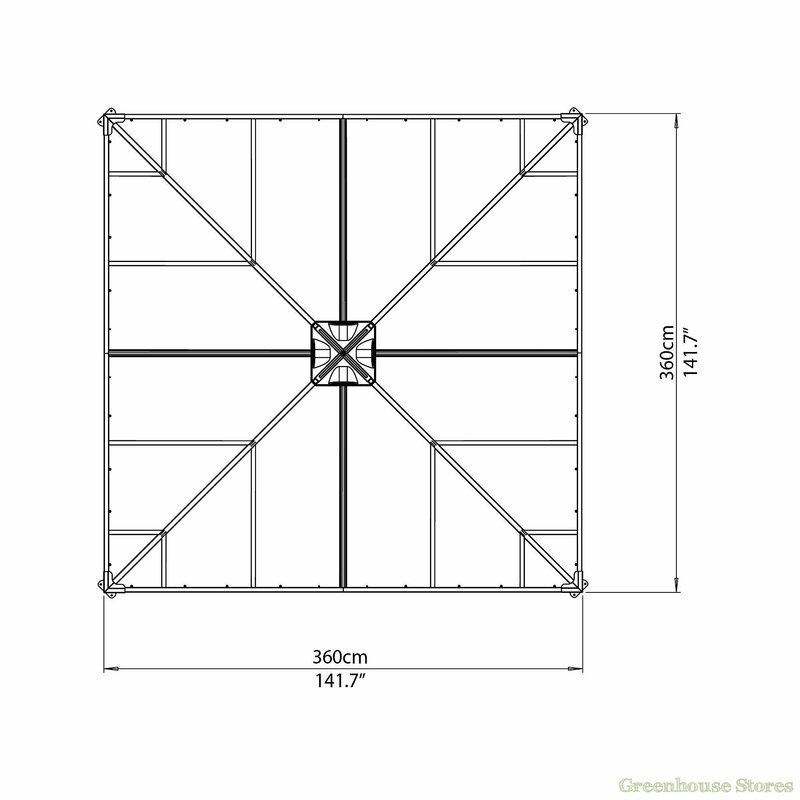 Roof Ventilation - Ideal for barbecues. 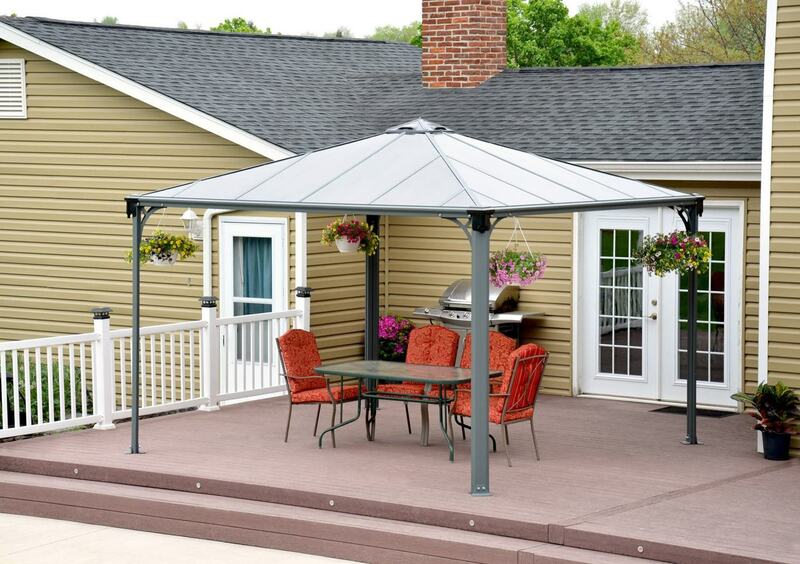 10 Year Warranty - Covers Rust and Discolouration. 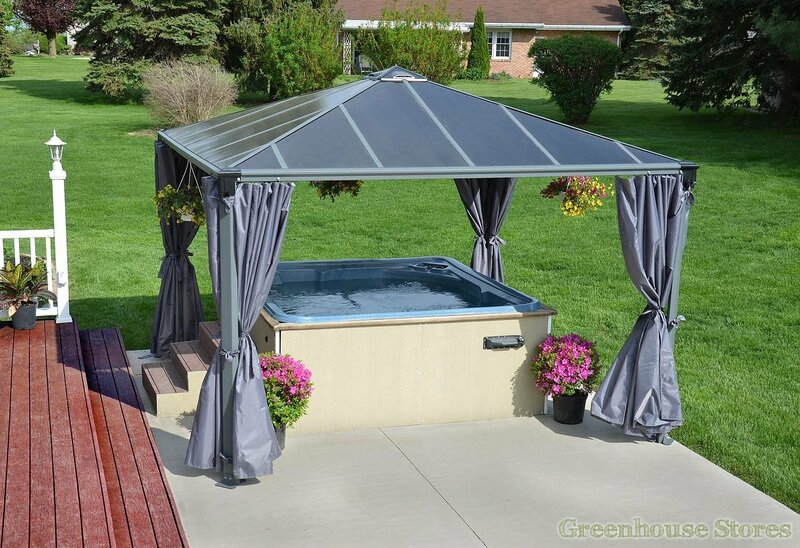 Optional Curtains and Shading available. 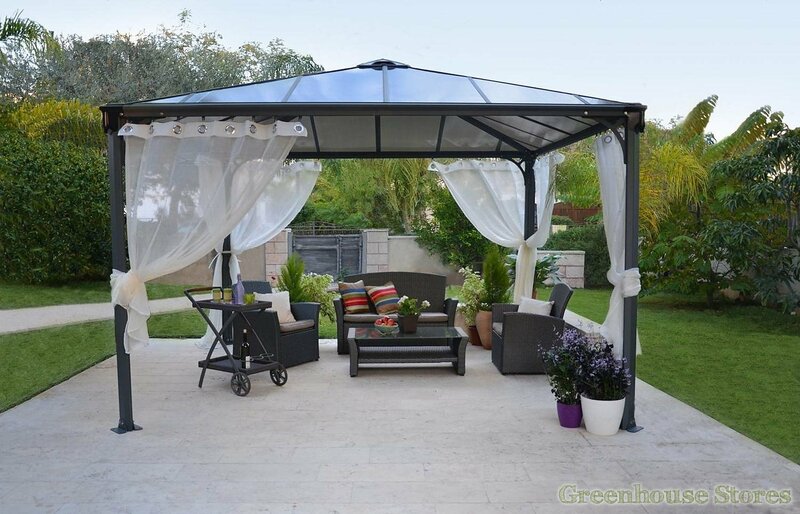 The Palermo 3600 Gazebo is a well designed shelter that is ideal for entertaining, relaxing or just as a shelter. 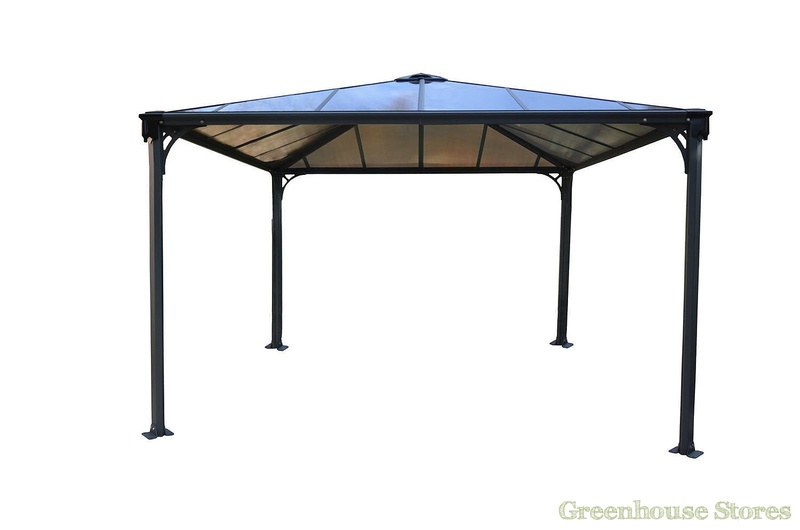 Ventilation in the 6mm Polycarbonate roof makes it ideal for barbecues and jacuzzi's. 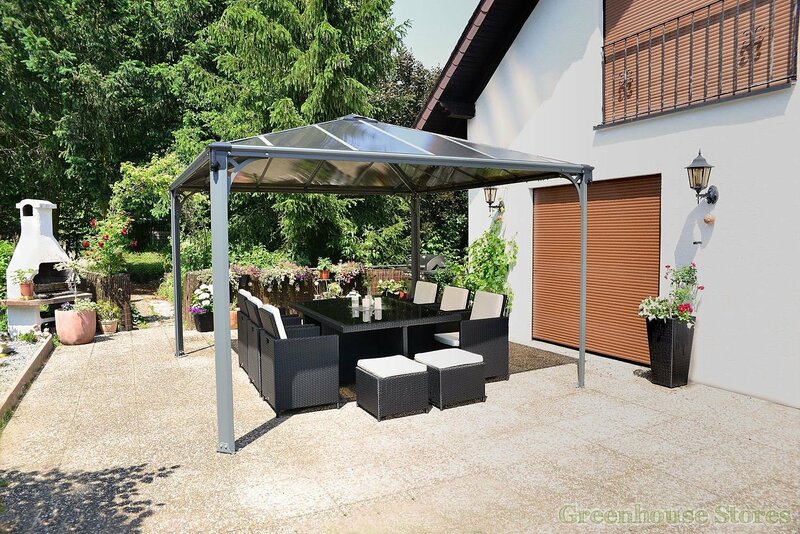 The Palermo 12ft x 12ft gazebo is constructed from powder coated aluminium and features UV protected 6mm Polycarbonate to keep you and your loved ones safe from harmful UV rays. 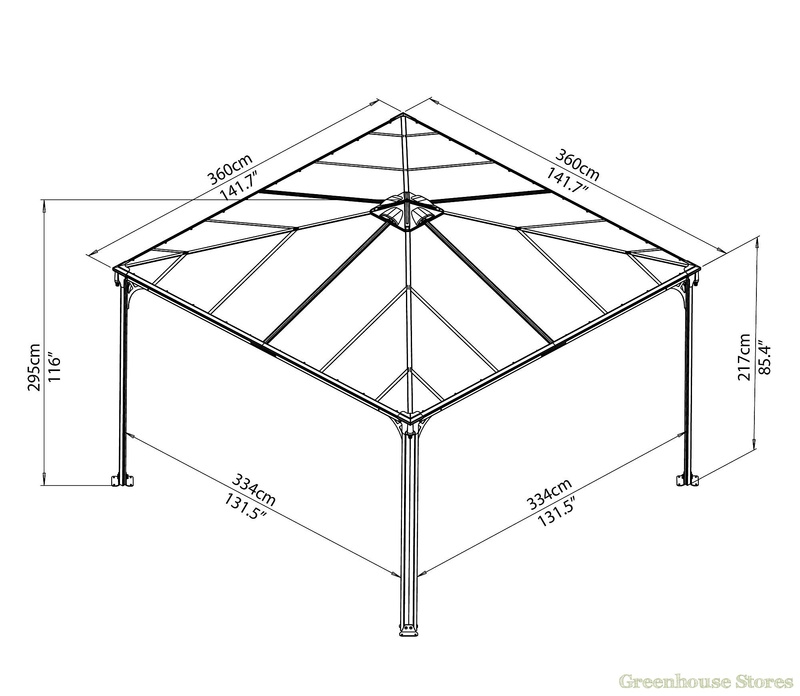 This Palram Palermo 3600 12x12 Gazebo comes with built in guttering and has the option of adding Martinique shading and curtains to make it a really versatile shelter. 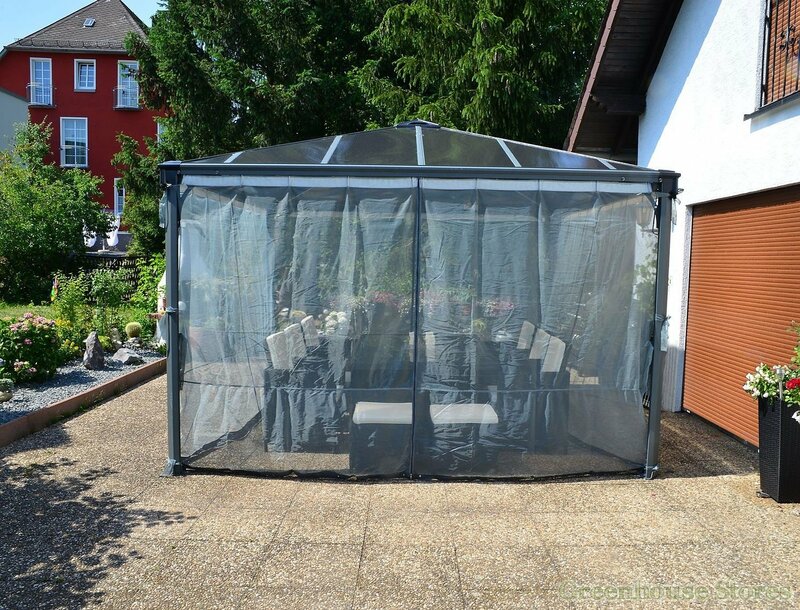 Keep the flys away with Palram's optional netting. 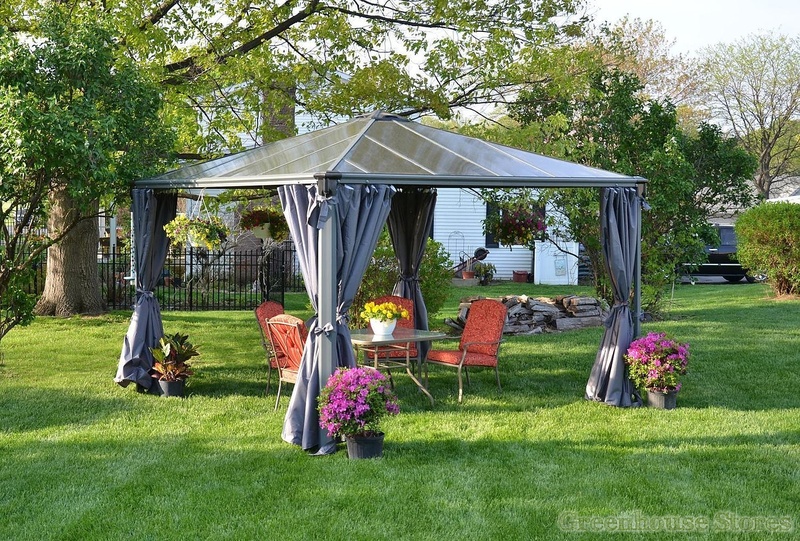 Add privacy and protection with the Palram curtain set, covers entire Gazebo.